Listed below are common horse teeth terms and their meanings as used by your equine dentist. Your equine dentist will use terminology and common horse teeth terms to refer to different aspects of your horses mouth and teeth and to areas, problems or treatments. It will obviously, help you better understand the dentist if you undestand the terminology they are using. Not only that, it will also help you diagnose or anticipate problems with your horse’s mouth. Dental Terms used to describe horse teeth, dental operations or anomolies. Rounding off the front surface of the first upper and lower cheek teeth to make the horse more comfortable with the bit. The premolars and molars at the back of the mouth, both top and bottom, which are used to grind up food. A space between teeth. This may be the normal space between the incisors and the cheek teeth or an abnormal space that develops between one or more cheek teeth. Definition : Dominant lower or upper last molar overhanging opposing molar. Hereditary – May result from horse born with over or under bite. Problems – prevents horse from chewing freely side to side resulting improper and excessive molar wear. Tight soft tissues are very susceptible to lacerations from sharp molar points. Can cause extreme discomfort as the head carriage or frame is changed when riding. Definition – Dominant upper front premolars overhang lower premolars. Hereditary – May result from horse born with an overbite. Problems – Prevents horse chewing freely from side to side resulting in improper and excessive molar wear. Can cause excessive wear to opposing lower premolar. Can cause severe bit problems and trauma to soft tissue. The dropping of partly chewed food from the mouth. Contact between the top and bottom incisors at an angle instead of being horizontal. The top and bottom teeth (12 in total), found at the front of the mouth and used for grazing. Through abnormal wear, the grinding surface of the cheek teeth arcade is arranged in step like fashion instead of the normal smooth curve. Through abnormal wear, the angle of contact between the top and bottom cheek teeth has become greater than the normal 10-15 degrees and may have reached 45 degrees. 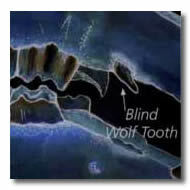 The canine teeth found between the incisors and the cheek teeth. Theoretically used for fighting and present in most male horses. Usually very small or absent in mares. 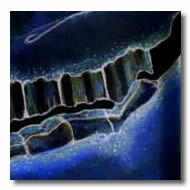 Due to uneven wear, the grinding surface of the cheek teeth arcade has a wavelike appearance instead of a smooth curve. 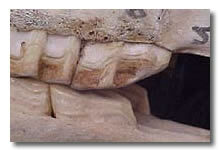 The first premolars that appear in front of the cheek teeth in around 15 to 25% of horses. If small and correctly positioned, they are unlikely to cause problems. Definition – Small shallow rooted teeth in front of premolars. Most common in upper jaw. Can occasionally occur in front of lower premolars. Problems – Bit may contact tooth causing severe pain and discomfort as tooth moves. Can fracture or become loose causing discomfort. Solution – Wolf teeth should be removed before your horse is bitted to prevent discomfort and bad habits. 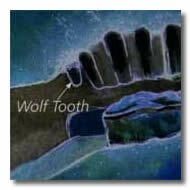 Definition – Abnormal wolf tooth that does not break through gums. Usually comes in at an angle, often up to one inch forward of premolars. Angle of tooth does not allow it to penetrate gums. 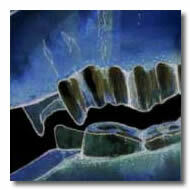 Problems – Can cause severe bit problems. In a location that bit often contacts. Often missed due to being buried under gums. Solution – Generally easy to surgically remove. Try to memorise as many and as much of the above terms and the details of some of the most common terms. Try to grasp the basics if not the full description of what the term means.